November 5th, 2014 – If you are facing foreclosure, it is absolutely critical to take action and stop foreclosure fast. Many borrowers fall into the trap of asking their lender to help them when their lender has no intention to help! According to California foreclosure laws, a lender may not start the foreclosure process until they give the borrower an opportunity to explore foreclosure alternatives. Free legal advice is extremely helpful when a homeowner is facing foreclosure. It is crucial to talk to attorneys that practice foreclosure law in California and Los Angeles. The right attorneys can help a distressed borrower and demonstrate how to stop foreclosure in California and Los Angeles. This is typically done by filing bankruptcy or filing a lawsuit. In California, the SB900 law protects the borrower against wrongful foreclosure. A lender must provide proper notice to the borrower and give them an opportunity to catch up on missed payments or explore foreclosure alternatives; such as loan modification, deed in lieu, or a short sale. Foreclosure attorneys in Los Angeles have been filing lawsuits and getting court orders based on SB900, protecting borrowers from wrongful foreclosures and saving homes. Borrowers need to get proper legal advice immediately before the lender advances the foreclosure process. It is always best to contact a foreclosure attorney to stop foreclosures in California! A good foreclosure attorney in Los Angeles or anywhere in California will explain the process and help the home owner to put things into perspective. The best way to stop worrying about a possible foreclosure on is to take action today and get free advice from qualified foreclosure attorneys in California and Los Angeles. Call today and stop foreclosures fast! Contact a foreclosure attorney in California and take action! 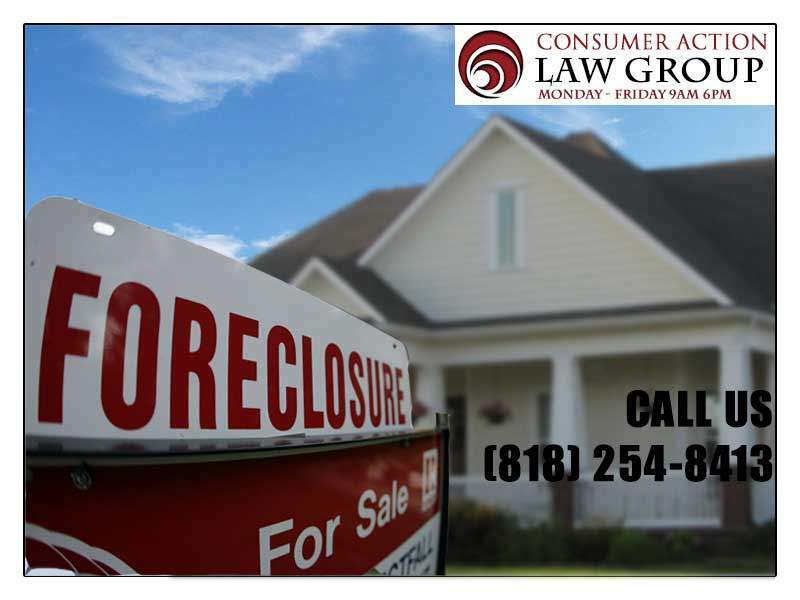 Visit Consumer Action Law Group for detail information on how to stop home under foreclosure.